In Memory of Major David E. Goss | GossHawk Unlimited, Inc.
David E. Goss was a very special man; father of Dave Goss (Dave is one of five children), and grandfather of Lindsey Goss (Lindsey is one of ten grandchildren). Had it not been for this one man, GossHawk Unlimited would not exist today. Dave Goss followed in his dad’s footsteps and joined the military at a young age. After serving out his time in the military, Dave new it was in his heart to work on old aircraft. Had it not been for his dad’s service, and Dave’s great respect for that, he might not have traveled the path in life that led to GossHawk. It was no mistake that the GossHawk hangar was built for a B-17 project, and Dave has extensive experience with Focke-Wulf’s (which was the type of aircraft that shot David down). Like any other boy, Dave idolizes his father. 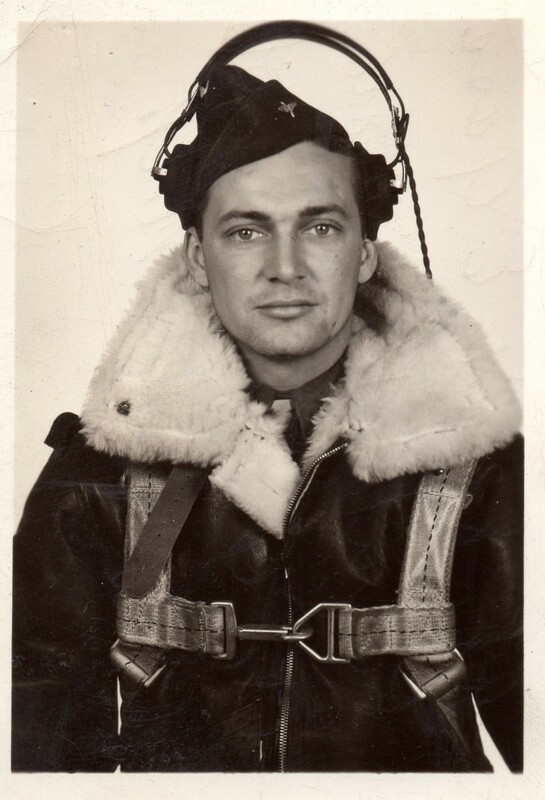 David E. Goss was a bombardier/navigator on the B-17 in WWII. Unfortunately, he was shot down on his first mission. Shortly after being shot down, David became a POW in Germany. After almost a year and a half of being in the POW camp, David made his escape. He eventually made his way back to the states, where he continued his career in the Air Force for over twenty years. David retired as a navigator on C-130’s, which was his favorite airplane. Thank you for your service and for fighting for our freedom. You touched so many lives, and you will be missed by so many. I love you Grandpa!